If you are like many, you’re not quite sure what to make of this year’s edition of the Boston Celtics even though we are already halfway through the season. 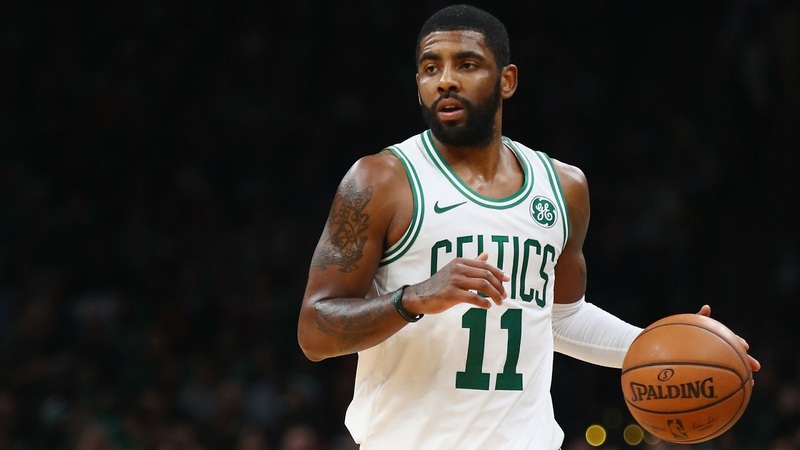 At times they look like a more poised version of last season’s upstart group that rallied its way to the conference finals without its bona fide superstar Kyrie Irving to lead the way. However, at other times they have been frustratingly inconsistent as the young guns try to assimilate with the more experienced veterans. Perhaps there is no better illustration of the Celtics paradigm than what transpired recently. Boston dropped three consecutive games to Miami, Orlando, and Brooklyn in which industry-leading online sportsbooks like YouWager had them tagged as favorites in each and every game. But then they returned to Boston after that hellacious three-game road swing and proceeded to knock off the best team in the East, the Toronto Raptors. Huh? It’s hard to make sense of it all but what we do know is that Jaylen Brown continues to struggle and has not adapted well to his diminished role off the bench. However, the good news is that we have seen flashes of the old Gordon Hayward as he appears to be more comfortable with his teammates after a year on the shelf recuperating from a horrendous leg injury. As the team enters the second half of January let’s take a look at what awaits them as they sit in fifth place in the Eastern Conference with what Celtics’ fans would describe as a mildly disappointing 26-18 mark. Friday, January 18th vs. Memphis – Don’t be surprised if a major online sportsbook like YouWager installs the Green as substantial home favorites in this one. After all, Boston has taken five straight from the Grizzlies and is a money-making 4-1 against the spread in those contests. In their first and only meeting this season, the Celtics drew away to a 112-103 victory in Memphis. Saturday, January 19th @ Atlanta – Despite the fact that Boston has trounced the Hawks in their two meetings thus far, this is one of those games that could have Celtics’ fans losing their collective minds. It’s a road game against a weak team where we just recently saw the C’s drop three straight to lesser teams, and it’s the second-leg of back-to-back games. Watch out! Monday, January 21st vs. Miami – If the Celtics have any self-respect, they will look themselves in the mirror before this game and understand they have lost on three consecutive occasions to the Heat, including a disgraceful performance this month when they fell 115-99 without Miami’s Goran Dragic in the lineup. Wake up boys! Wednesday, January 23rd vs. Cleveland – The Celtics already got to avenge their Eastern Conference Championship series loss to the Cavaliers when they beat them up pretty good back in November by the score of 128-95. Without big brother LeBron, this team ain’t so tough anymore. Saturday, January 26th vs. Golden State (8:30 PM on ABC) – This is the game to circle on your calendar as it will be a primetime showdown between what we believe can be the best team in the East versus what we know is the best team in the West. Boston doesn’t have to win this game but, in front of a national television audience, they can’t look bad in defeat. Monday, January 28th vs. Brooklyn – If the C’s win on Saturday night there could be a bit of a letdown on Monday night against a middling Nets team. However, it should be noted that the Green had won their last nine over the Nets before they lost to them in Brooklyn on January 14th, sans Kyrie. Wednesday, January 30th vs. Charlotte – The Celtics wrap up their five-game homestand against the Hornets and will hope to duplicate their efforts the last time these clubs met, shortly before Christmas, when Boston dominated in a 119-103 effort. The season series is split between the two with Charlotte winning the first meeting 117-112 early in the season.